Overview. Monterey, California sits about a hundred miles south of San Francisco. It’s a small quaint city of 30,000 which anchors a larger metropolitan area including the towns of Seaside, Pebble Beach, Pacific Grove, and Carmel. 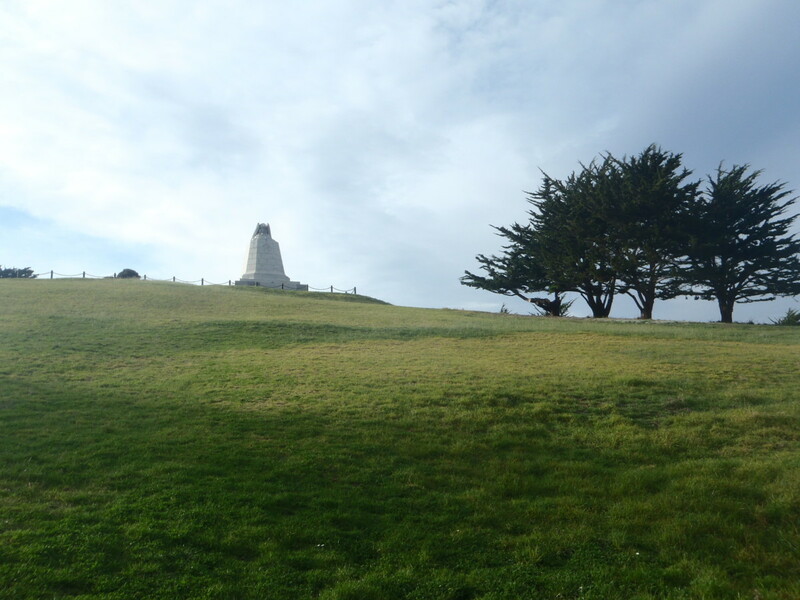 Well known for its golf courses, seaside mansions, and outstanding coastal scenery the city got its start when a Spanish presidio and mission were established in 1770. By 1821 Monterey became the capital of the Alta California province under a newly minted Mexican republic which broke from Spain. 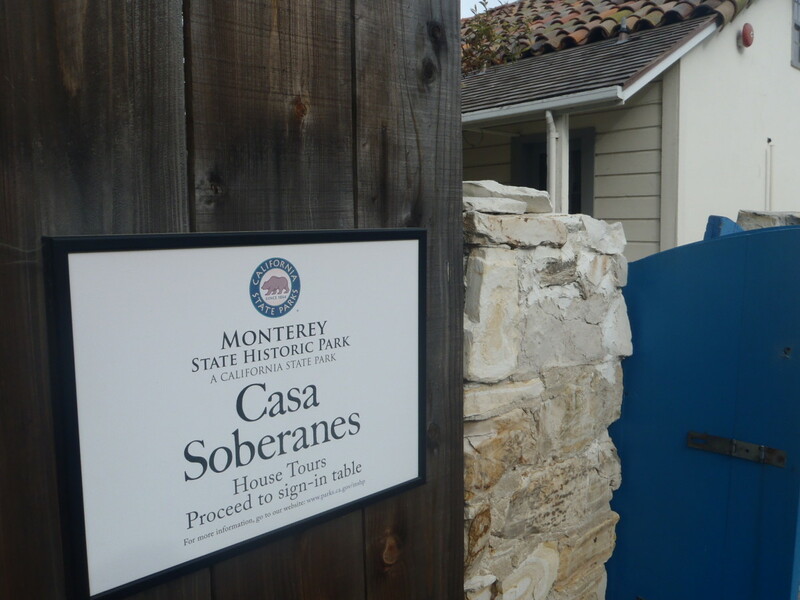 Today Monterey’s relatively small population should not underwrite its importance to the area’s history under the flags of Spain, Mexico, and the United States. 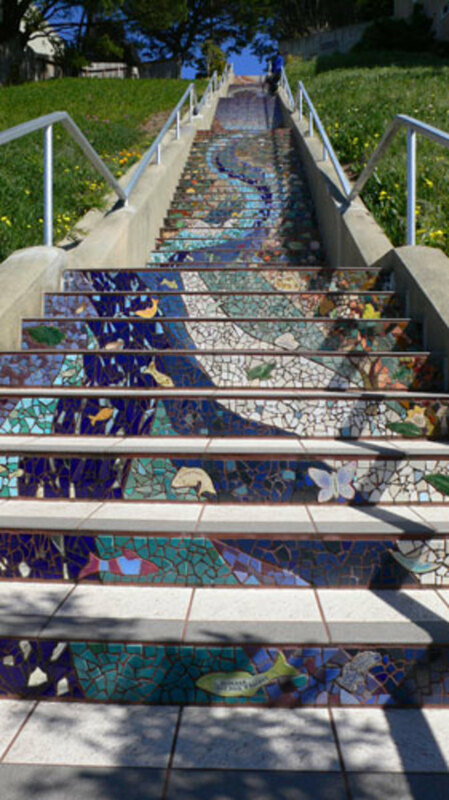 The best way to see Monterey is with the sidewalk underfoot. Park the car and get out and walk – it’s small enough - with the exception of maybe driving to Cannery Row about .75 miles to the north. But even that’s walkable with enough time and energy and there are things to see along the way. Things to Know. 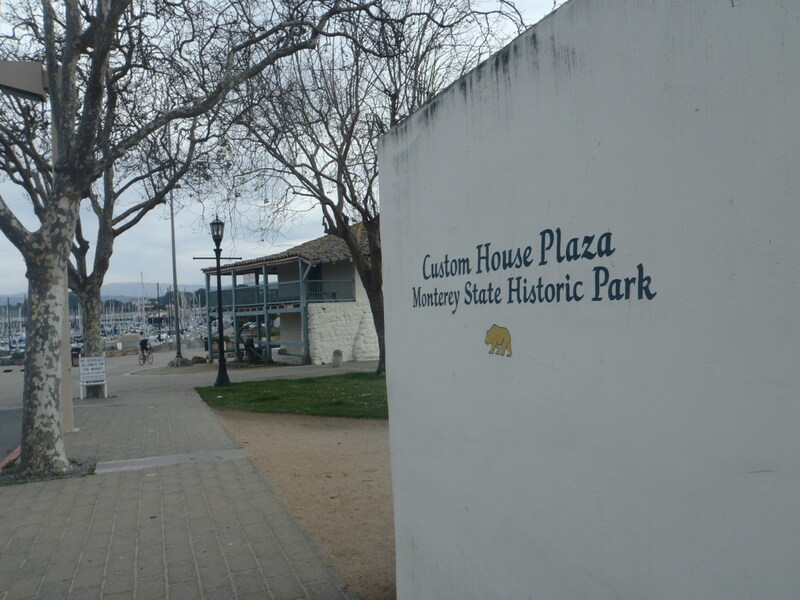 The Monterey State Historic Site has a number of buildings mostly concentrated around Custom House Plaza which offer self-guided tours. Pick up a brochure at the Pacific House. There is also a museum with free admission. Follow the bronze markings on the sidewalks, known as the Path of History, which takes you on a self-guided walking tour. Directions/Orientation. Most people approach Monterey from U.S 1 heading south. Take any exit numbered 399 to 401 on U.S. 1 and head toward Portola Plaza – as close to the city’s dead center as one can get. Parking. Parking garages are numerous but street side parking is not hard to find. If you want to avoid the cost of the garages there are plenty of side streets that have two and three hour limits and no parking meters which are close to the sites in this compact city. Sea Life. It’s hard not to notice mammalian heads and bodies that bob on the ocean swell if you look out into the water. Sea Otters, harbor seals, and sea lions inhabit much of the stretch of the Monterey peninsula and are easily spotted from points close to shore and especially those with sheltered coves. This makes Monterey an ideal spot to view these creatures as the city is not accidentally situated in a cove within Monterey Bay. The offshore area you see is all in the federally protected Monterey Bay National Marine Sanctuary (MBNMS) the largest of its kind in the United States and it covers a section of the ocean that extends out to sea for 30 miles and along the coast for 276 miles between Marin County southward to the town of Cambria. 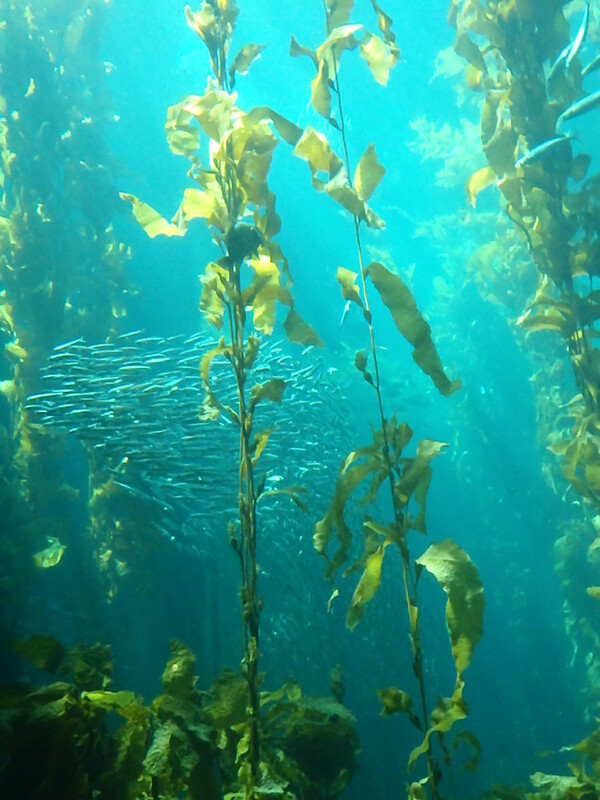 Kelp forests are the most celebrated aquatic plant life and they can grow to towering heights beneath the water’s surface. Not surprisingly diving is popular in Monterey Bay but a wetsuit is necessary because of the cold water temperatures. When to Go. Summers are very crowded in general and weekends in particular. If you don’t like the crowds try going in the winter months. Summer weather can also be foggy as warm air on land collides with cooler ocean air forming coastal fog. Winter can bring intermittent rain with cooler temperatures. Sites. 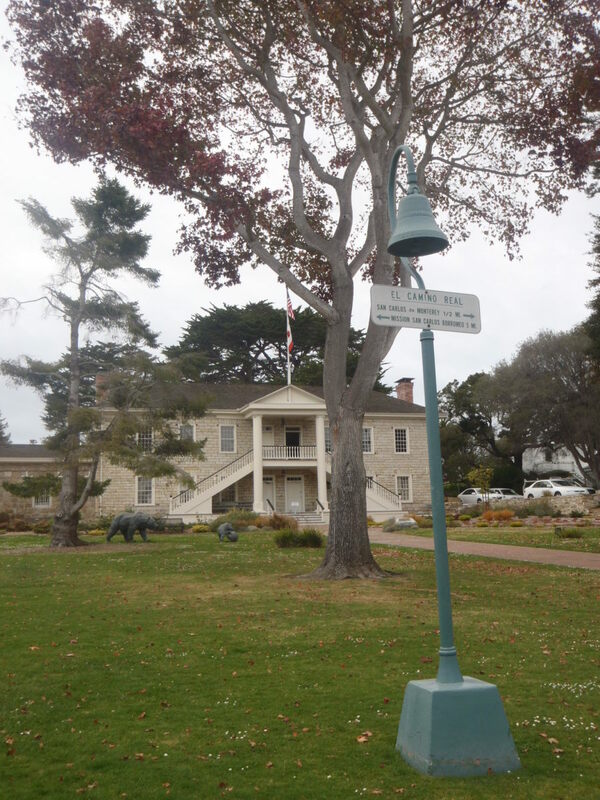 Start at the Monterey State Historic Site opposite Fisherman’s Wharf which is just behind Portola Plaza along the waterfront. 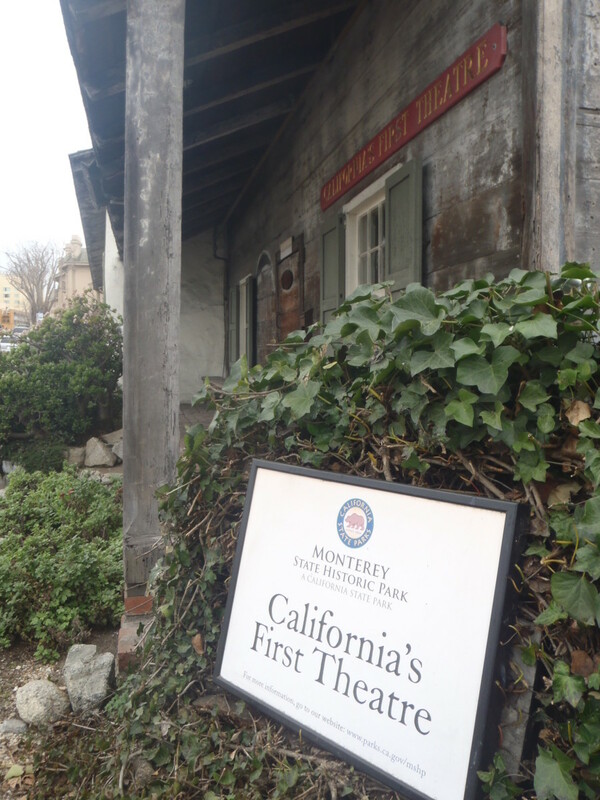 Much of the Monterey Old Town Historic District, an eclectic assortment of Spanish colonial and early Anglo-American buildings, is found within the Monterey State Historic Site. Walking the Old Town is easy because of the bronze medallions that self-guide the visitor. 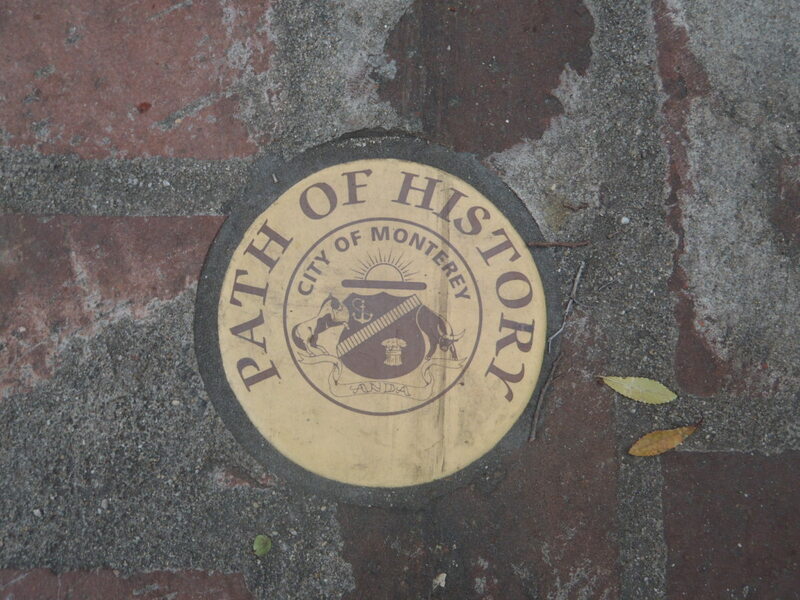 Known as the Path of History, these sidewalk inlayed markers can be followed or you can simply make your own path. 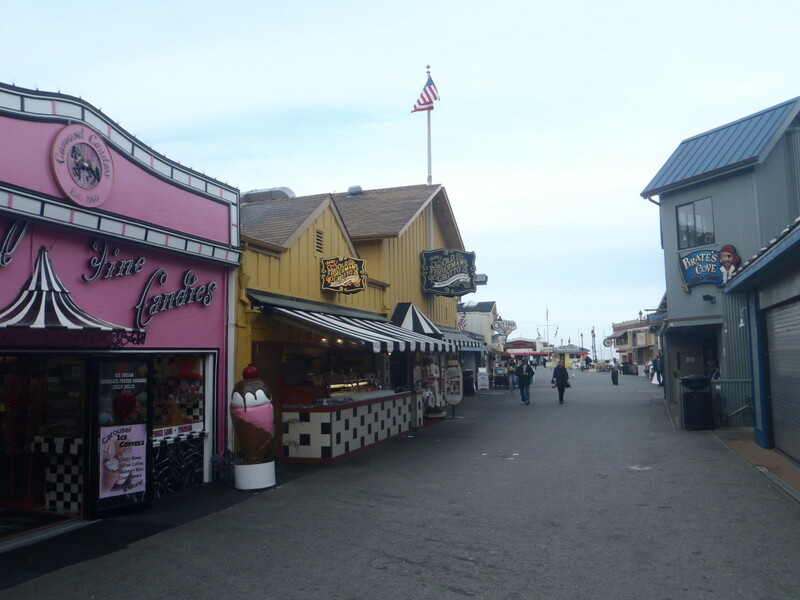 Whatever path you choose, proceed first to Fisherman’s Wharf to get views of the ocean and sample the local clam chowder which is often provided gratis at the entrance to various restaurants. From Fisherman’s Wharf head back to the Old Custom House at Custom House Plaza, a beautifully restored building, and one the city’s oldest, which dates from 1827. 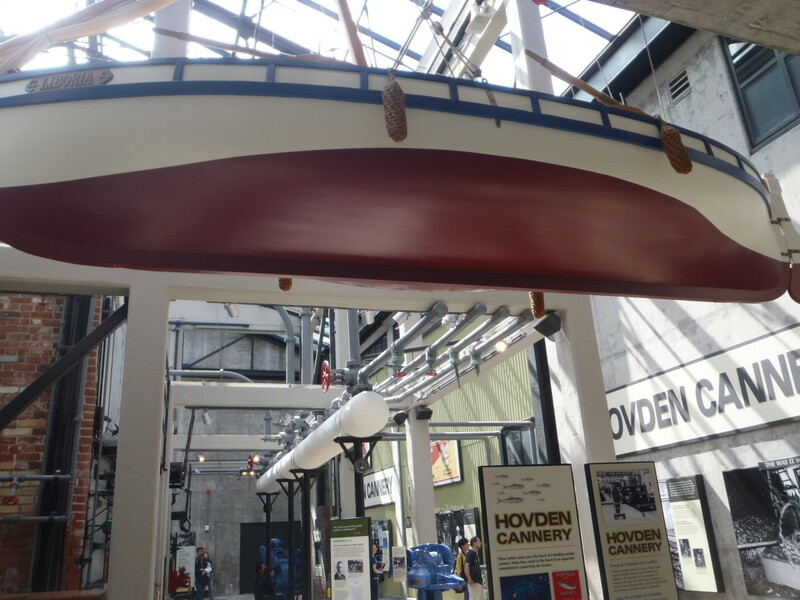 Built by the Mexicans its purpose was to collect revenue from goods that were unloaded here. It was also in this location that the U.S. flag was first raised in 1846. From the Custom House Plaza head towards Colton Hall along Pacific Street but not before taking in the beautiful gardens of Casa Soberanes (336 Pacific Street), a circa 1842 Mexican-era house as well as the California First Theatre (Pacific and Scotts Streets), circa 1844, a former lodging house and saloon where soldiers staged the first skits and dramas. Colton Hall is also located on Pacific Street at the Civic Center and it was in this building that California’s first state constitution was written in 1849. 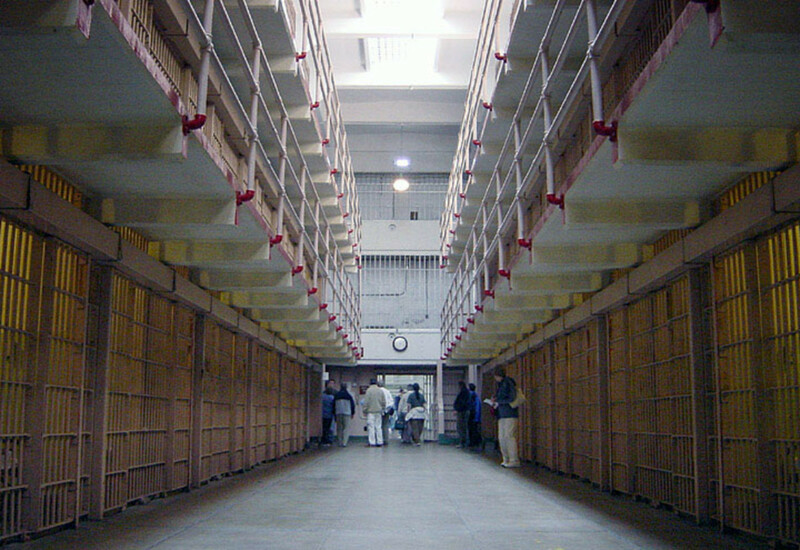 The Old Monterey Jail is next door. Other honorable mentions worth a look in Monterey’s Old Town are the Larkin House (c. 1842) known for its distinctive and eclectic Monterey colonial style. The Stevenson House (530 Houston Street) dates to 1840, and has a collection of the author’s memorabilia and was reputedly where Robert Louis Stevenson wrote Treasure Island. The adobe Cooper-Molera House at 525 Polk Street was first constructed in 1827 and is best known for its gardens. Along the Path of History near the Old Custom House you will also note the First Brick House and the Old Whaling Station both dating from 1847 near Oliver Street. The Sherman Quarters is another noteworthy building along Pacific Street and is named after the Civil War general who lived here in 1847. 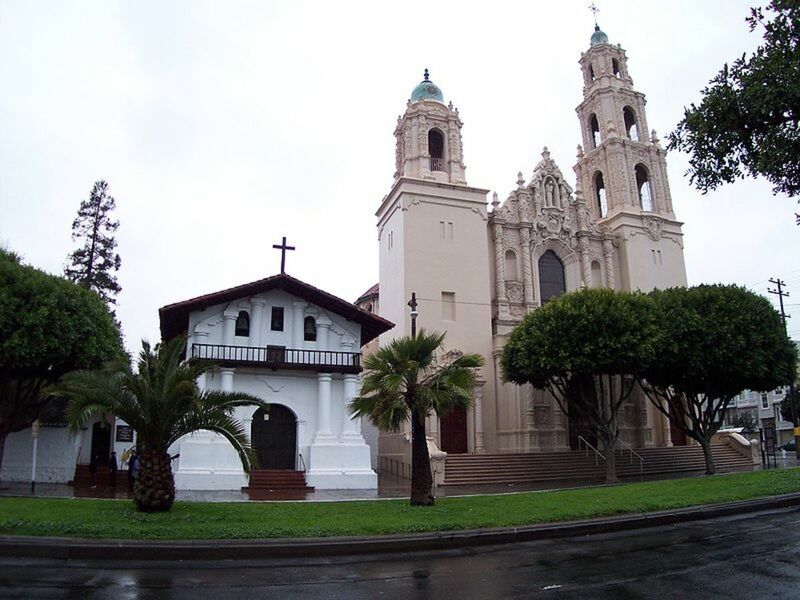 Head to the Royal Presidio Chapel (Church Street) by following Munras Street to Fremont to Church Streets. 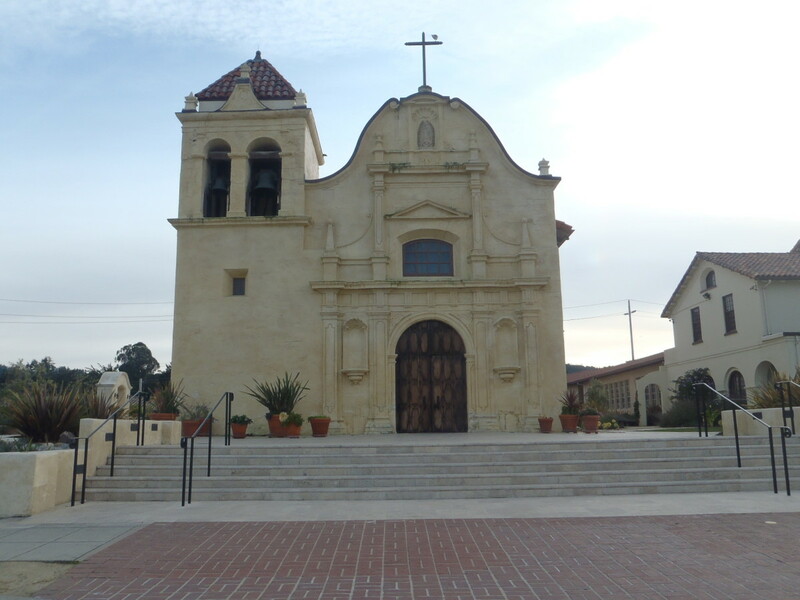 This beautiful church dating to 1792 is technically a cathedral and as such is the diocesan seat for Monterey and the only reaming building from the original Spanish presidio. About a ten to fifteen minute walk from Colton Hall, it should not be confused with the more famous Carmel Mission which is located about five miles south in the town of Carmel. Walk back to Custom House Plaza by taking Figuero Street which forms one of the old boundaries of the original Spanish presidio that existed in Monterey. At the corner of Figuero and Del Monte Avenue turn left and proceed past Custom House Plaza towards Cannery Row. About midway between Cannery Row and Custom House Plaza look to your left and you will see the entrance to the Presidio of Monterey an active U.S. Army installation which houses the Defense Language Institute. 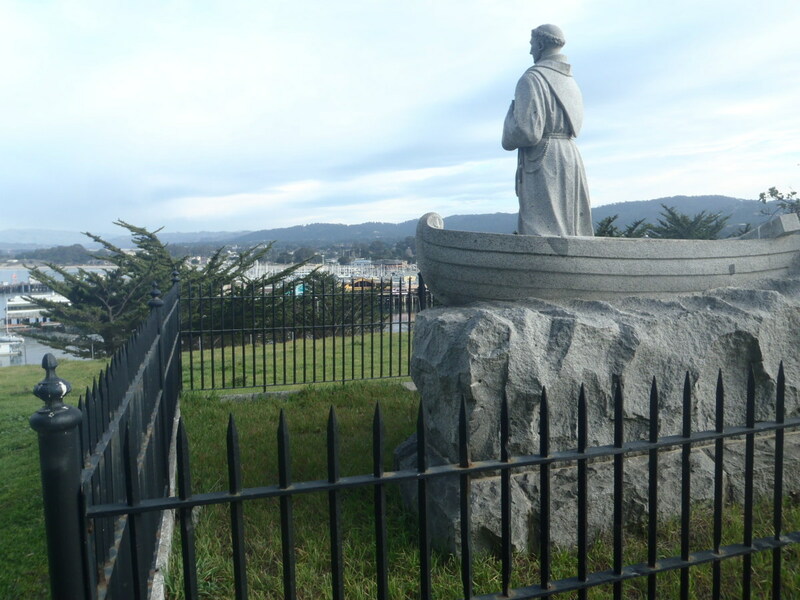 There is a gate open to visitors who can access the Presidio of Monterey Museum and the monument in Lower Presidio Park which has great views of the city and bay below. 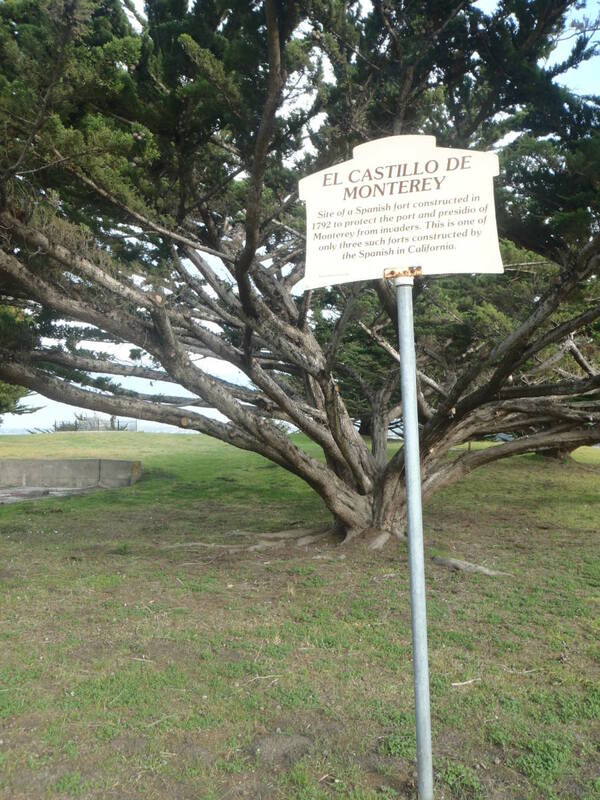 There is a historical marker which marks the former location of the El Castillo de Monterey built by the Spanish in 1792 to protect the port and presidio below. After exiting the U.S. Army Presidio continue walking northwest along Bolio Street and along Wave Street until you have passed the U.S. Coast Guard Headquarters. 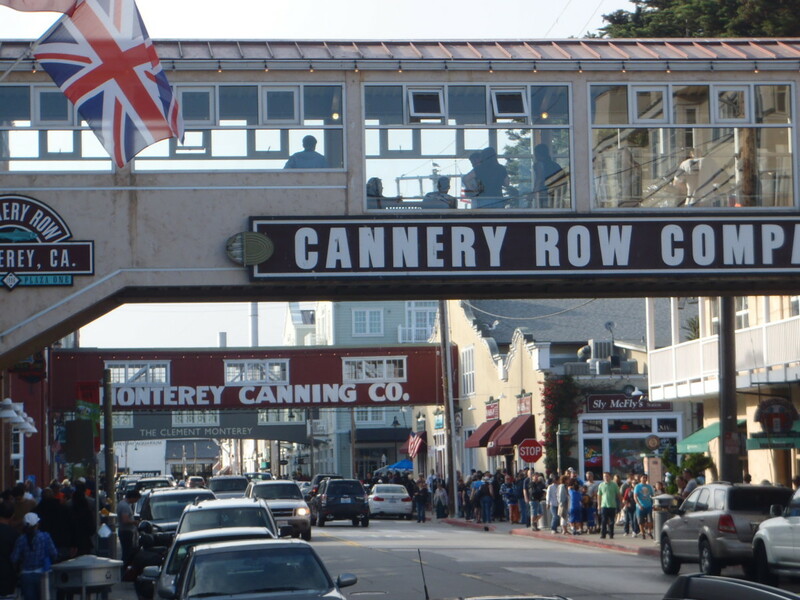 Two blocks more and you will come to Cannery Row, a blessing with mixed reviews. The alternative to the high wattage of glitzy retail outlets, luxury hotels, and seafood restaurants would have been undoubtedly a complete demolition of the dilapidated sardine canneries replaced by a mall housing the same high end retail and big brand names. 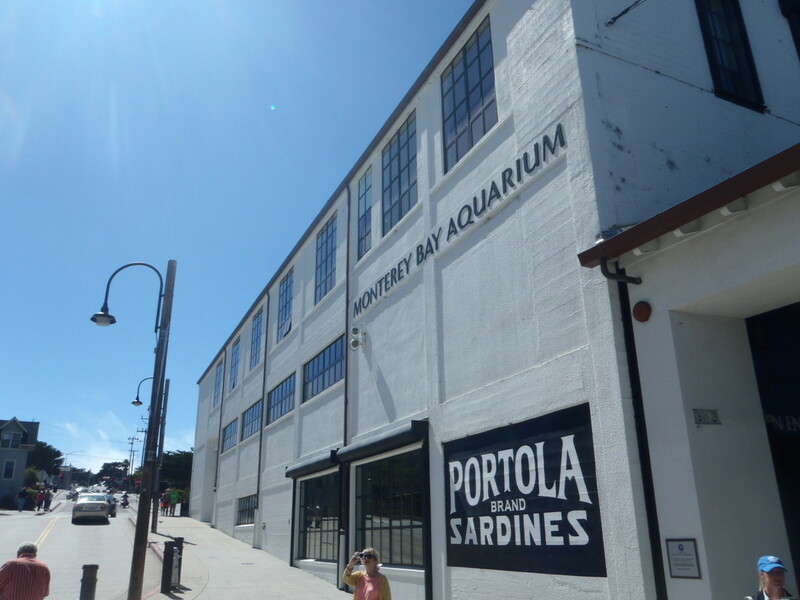 Essentially the rats were cleared, followed by a new paint job, and a successful makeover followed to resurrect the old canning district of Monterey which boomed and busted from the sardine industry. It reached its peak in 1945. More than likely overfishing of these tasty little fish caused an almost complete collapse of the industry by the early 1950s. 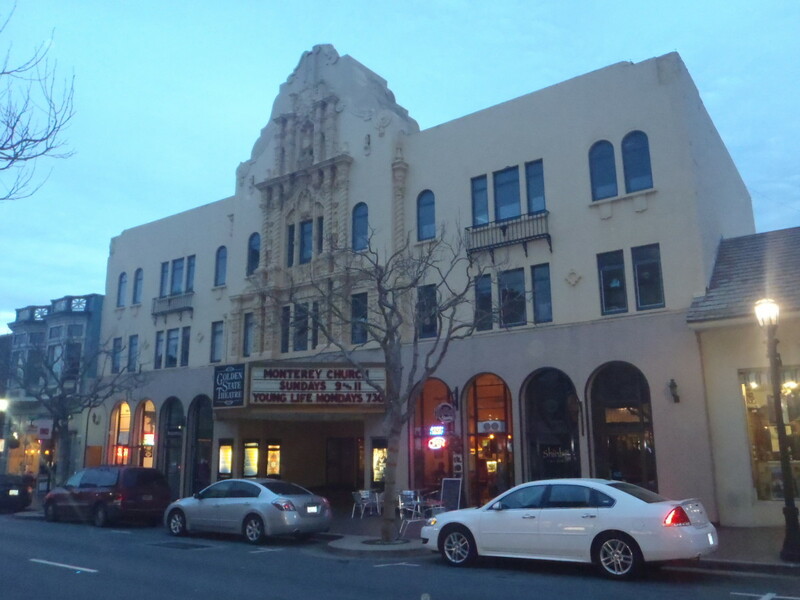 While it’s hard to not call it a tourist trap – take it for what it’s worth, a successful and dedicated urban renewal of Monterey’s historic past. 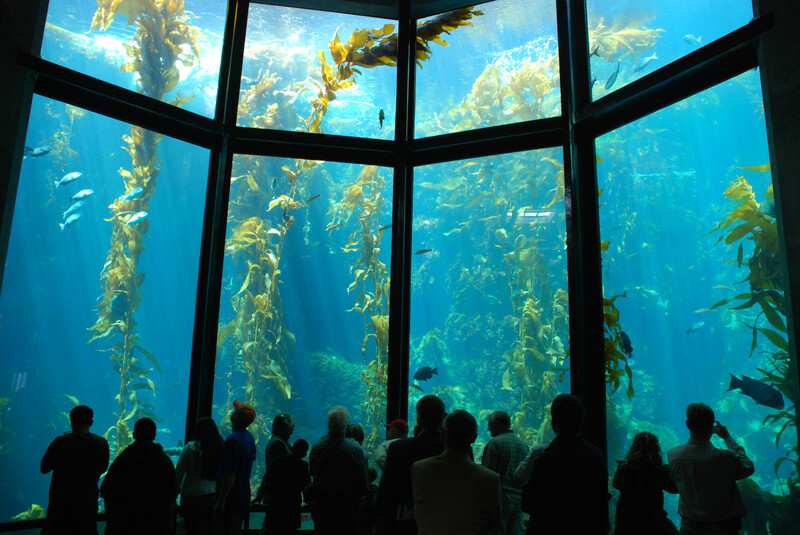 Enjoy the ocean views and otter watching from numerous seafood restaurants that line the sea cliffs before taking in perhaps California’s most famous aquarium, it too built in the remains of an old cannery, the Monterey Bay Aquarium ($34.95 per adult/August 2013). The Aquarium highlights marine life, both mammal and fish, of the waters off northern California in general and Monterey Bay in particular. 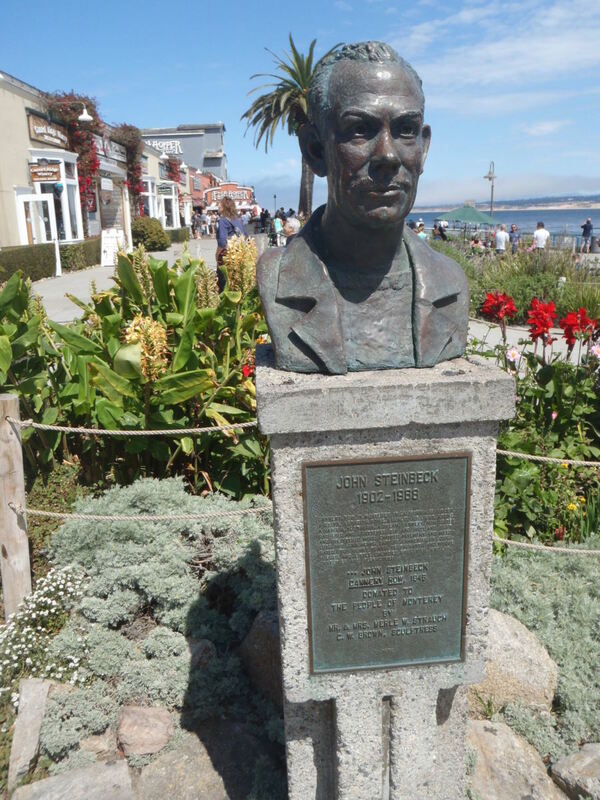 The celebrated author John Steinbeck is memorialized here as well in Steinbeck Plaza fronted by a bust of the late author. 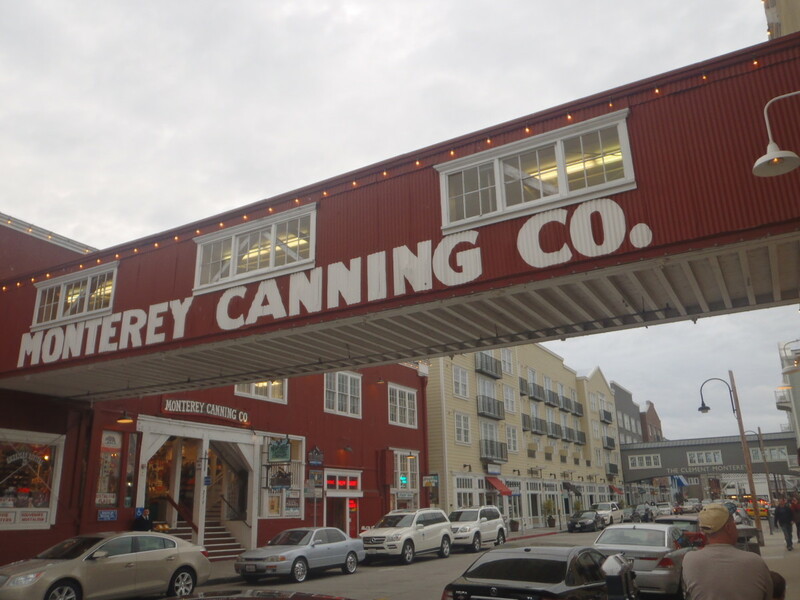 His eponymous novel Cannery Row was based on the location. 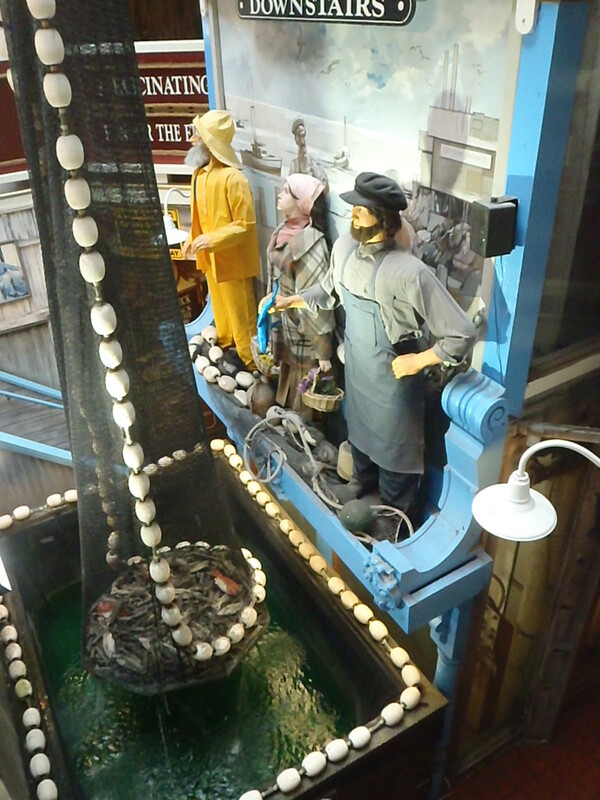 If time and money permit see the Spirit of Monterey Wax Museum which is between the Clement Hotel and Steinbeck Plaza. Paul - The Naval Postgraduate school is still there but it is off limits to the general public (gated). Many thanks for reading! Rochelle - I hope you enjoy your second honeymoon - it's a beautiful place to spend it. Thanks for reading, again. leahlefler - the scenery in that area is unparalleled. 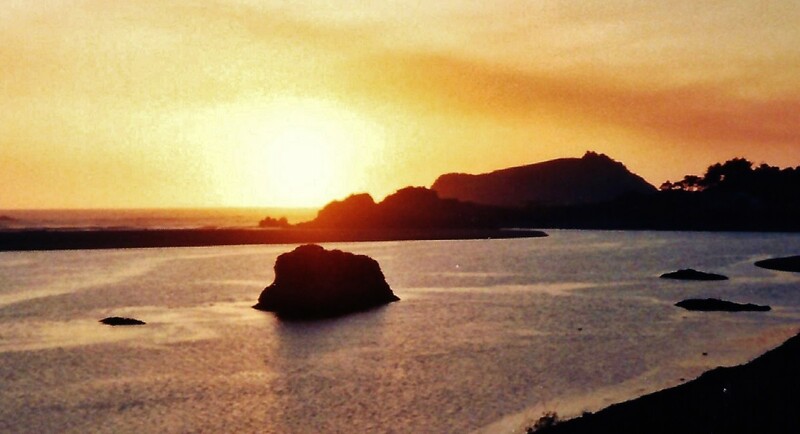 There's so much to see, especially if you include Big Sur and Central Coast. I spent 10 months at the Presidio of Monterey during 1967-1968 when I was a student at the Defense Language Institute. One place you didn't mention was the U.S. Naval Postgraduate School in Monterey. Is it still there? A great hub which brings back a lot of memories. I love Monterey. We used to go there every summer - we'd camp in Big Sur and drive to Monterey for the day to do the aquarium and walk around Fisherman's Wharf. The aquarium is magnificent - I haven't been there in a long time, but I certainly miss that area of California! Rochelle: I hope you found is useful. 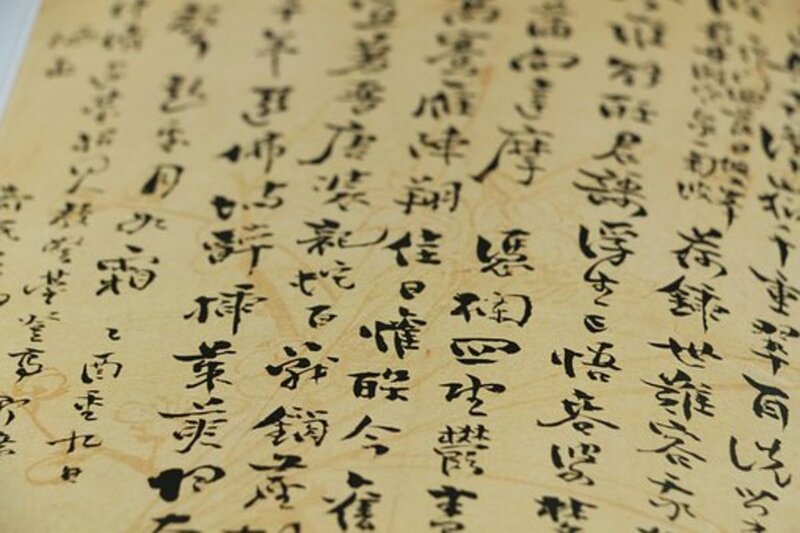 Enjoy your visit and thanks for reading. Thanks for posting this. Planning a visit to this area this summer.